There are a few more immediately likeable cities other than Kolkata, the Capital of the eastern state of West Bengal. Revelling in intellectualism, Kolkata may be known as the City of Joy, but it is also the City of Passion. Lovers of art, culture, architecture and history will find plenty to feed their passions in the capital of West Bengal. If India is an IT powerhouse, can Kolkata be left behind? No way. As a matter of fact, Kolkata has proved to be a hugely rewarding place for the IT companies which have set up their operations in the city and the state of West Bengal. West Bengal continues to remain a popular destination for investment, as suggested by a survey study conducted by the Associated Chambers of Commerce and Industry of India (ASSOCHAM). The comparatively low cost of living compared to other cities, availability of plentiful skilled manpower, robust infrastructure facilities and State Government's investment-friendly policies are the key enablers which attract entrepreneurs from all over. The State scored 6.5 on a scale of 10 on Business Confidence Index (BCI) which is at par with other states like Guajrat, Maharashtra, Karnataka, Andhra Pradesh, Rajasthan and Himachal Pradesh. SME companies may get a boost from the Government's proposal to set up SEZ for SME enterprises which account for 1.35 lakh jobs. To showcase the true potential of the city and the state of West Bengal, VARIndia hit upon the idea of organizing an IT fair on the likes of other fairs which it holds at regular intervals in different parts of India. And thus, Eastern India Information technology Fair (EIITF) -2010 came into being. Mr Siddharth, IAS, Principal Secretary, IT & Biotechnology, Govt. of West Bengal; Dr. G. D. Gautama, IAS, Principal Secretary, Department of Power & Non-Conventional Energy Sources, Govt. of West Bengal; Dr. N. Vijayaditya, CCA, Ministry of IT, DIT, Govt. of India; Mr Manjit Nayak, Joint Director, STPI, Kolkata; Mr Ashwani Jain, Executive Director, PGCIL, Ministry of Power, Govt. of India; Mr J. P. Singh, Executive Director, RailTel, Ministry of Railways, Govt. of India; Mr Arindam Dutta, Member, Standing Advisory Committee, (NIRJAFT) ICAR, Calcutta; Mr Alok Garodia, President, COMPASS; and Mr Pawan Jajodia, VP, Confederation of West Bengal Trade Associations; as well as IT heads of various departments of the Govt. of West Bengal, PSUs, senior officials of DIT, Govt. of India and industry associations. 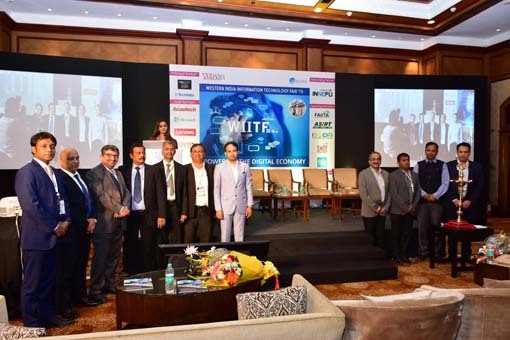 Kolkata turned out to be the perfect venue for EIITF - 2010, where an attempt was made to understand the IT corporates and vendors to enable their mechanism to create custom-built solutions in a cost-effective manner. The theme of EIITF - 2010 was: "Innovations in IT for a Shining Bengal". The event started with the lightning of the ceremonial lamp. In his welcome address, Mr Deepak Kumar Sahu, Publisher, VARIndia, spoke about VARIndia and the potential of Asia. Asia has emerged as a global economic powerhouse from the recent worldwide financial crisis and no one can doubt that Asia's economic performance will continue to grow in importance in the years to come. India offers vast scope for WiMAX/BWA and penetration of broadband. Dr. Debesh Das appreciated the efforts of VARIndia for organizing this IT Fair and providing a unique platform for IT companies to interact with each other and initiate a dialogue to improve the prospects of IT in the State. Speaking about the opportunities in West Bengal in the IT and telecommunication sector, he said, "A lot of new companies are setting up facilities in West Bengal and the existing ones are on an expansion mode. We expect that about 2,50,000 jobs will be added this year." He added, "West Bengal has received considerably high capital investment compared to other states. The total investment in the State in 2009 was about Rs.8,439 crore which is highest since 1991 in the State." Stressing the need for designing products, Dr. Das said, "If we really want to do something for the Indian IT industry, we, in my opinion, should also embark on designing some products. Innovation is the key." Commenting on the present scenario of IT in West Bengal, Dr. G. D. Gautama said, "West Bengal has come a long way in becoming one of the most attractive destinations as far as investment is concerned. Today, West Bengal can boast of major IT companies of many countries having their facilities in the State." Cisco Systems India, speaking about "WAN OPTIMIZATION". "Looking at the kind of potential the state of West Bengal has, the biggest advantage that the State traditionally has is the talent pool. Since IT is a knowledge-based industry, West Bengal is a knowledge-based society, thanks to the colleges and educational institutes of repute. We have to double the speed and I am sure West Bengal will come to occupy the place that it deserves," added Dr. Gautama. Expressing his thanks to VARIndia for holding EIITF in Kolkata, Mr Siddharth stressed on the latest happenings under his leadership. Speaking about the strides made by West Bengal, Mr Siddharth said, "Even in the last couple of years of the so-called recession we did not register a negative growth. This year, Kolkata is the only major IT destination along with NOIDA which has registered a positive growth rate. We did not issue any pink slip and don’t’ have a company going back on its commitment of employment." "Some of you might be aware that exports from Kolkata in 2006 were Rs.2,000-3,000 crore. Today, we are crossing Rs.6,500 crore. At that time, the IT sector employed 45,000 people, while the figure has crossed one lakh today. There is 20-million sq. ft. of office space currently under construction, especially for the IT sector. In the next couple of years, the space we will create job opportunities for additional two lakh people in West Bengal." Stressing the role of IT associations, Mr Garodia, President, COMPASS, said, "The Computer Association of Eastern India, popularly known as COMPASS, has been a facilitator and catalyst by working closely with govt. on policy issues, enhancing efficiency, competitiveness and expanding business opportunities through assorted services and how they are helping vendors and corporates for the growth and mutual benefits, since inception in 1993." Presenting an overview of the projects being implemented by PGCIL in the telecom segment, Mr Baidya from PGCIL, said, "PGCIL is looking after the power transmission utility under the Ministry of Power, Government of India, and has diversified into telecom business. The company has been actively introducing IT and telecommunication through their OPW Networks in existing power networks throughout the country and has implemented projects for many states, including far-flung areas like Jammu & Kashmir." The Forum also attracted representatives from IT companies who gave presentations on their competencies and advantages as to how they could be the preferred partners in various government and PSU projects. These IT vendors included Cisco, HP, Iomega and Trend Micro. 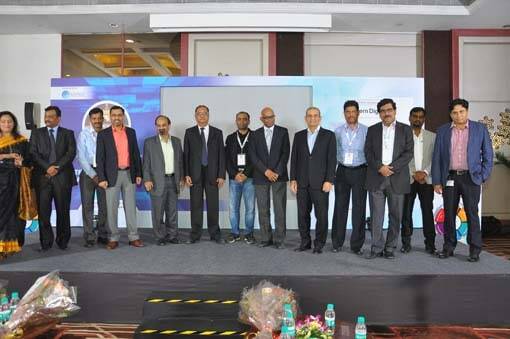 The initiative of VARIndia for holding EIITF was well received by the big corporates, PSUs like PGCIL, RailTel, STPI, Government of West Bengal, IT Department and BSNL, and it was hoped that it will become an annual feature. 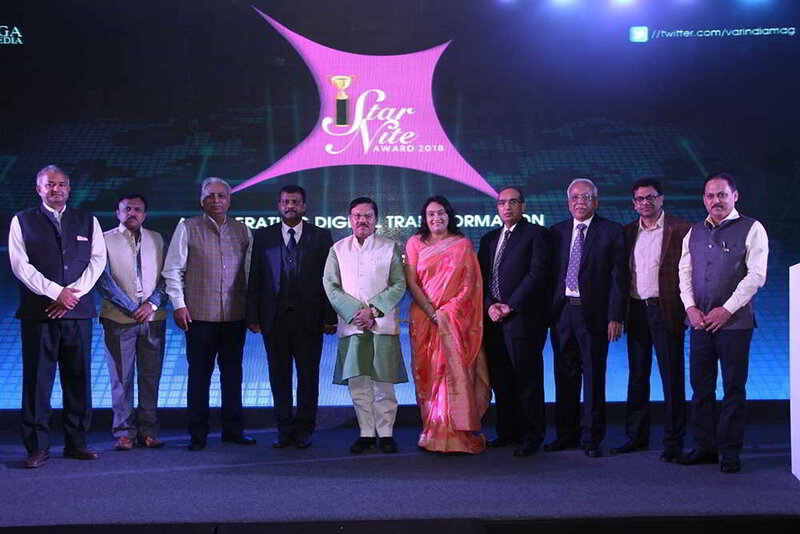 The event instilled a lot of confidence in the business community for promoting business in West Bengal. Last but not the least, EIITF provided an opportunity to entrepreneurs, VARs, SIs, corporates, resellers and government officials to interact with each other. While concluding, Deepak K. Sahu, proposed a hearty vote of thanks to the assemblage.